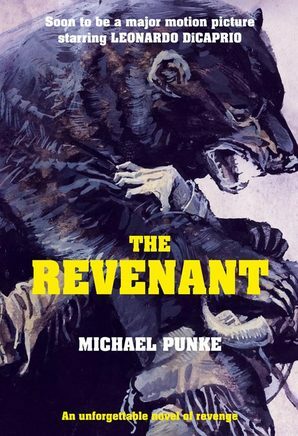 Michael Punke’s historical novel, The Revenant, is a true page-turner accurately depicting the historical climate of 1822 on the American frontier and the Missouri River. It highlights the true account of frontiersman, Hugh Glass. In preparation for seeing the film with a limited release on December 25 and a wide release date of January 8, it is the January topic for the Lucky 13 Film Club. Would you be interested to volunteer as a guest conversation opener about an aspect of this film? Before watching the film, I wanted to read the book. The prose of the grizzly attack is gripping as the bear slashes Glass’s throat, nearly scalps him, and leaves gashes on his back which become infected with maggots. This is the debut novel from international trade lawyer, Michael Punke, and his descriptions are impressive. Abandoned by fellow crew-mates, John Fitzgerald and Jim Bridger, Hugh Glass sets out and crawls 350 miles to regroup at a fort before setting out to seek his vengeance. From the trailer, it looks like the script will include Glass’s lost son and this motivation propels Glass as avenger. I’ve never had a problem with film adaptations taking liberties. They are two separate texts I critique independently. I do recommend the book; it’s a quick, satisfying read. 4.8 out of 5. With Tom Hardy playing the antagonist Fitzgerald and Alejandro G. Iñárritu directing, the trailers suggest a realistic approach to the cinematography and has me itching to see it on the widescreen. You can read more about the film including watching the trailers found HERE. 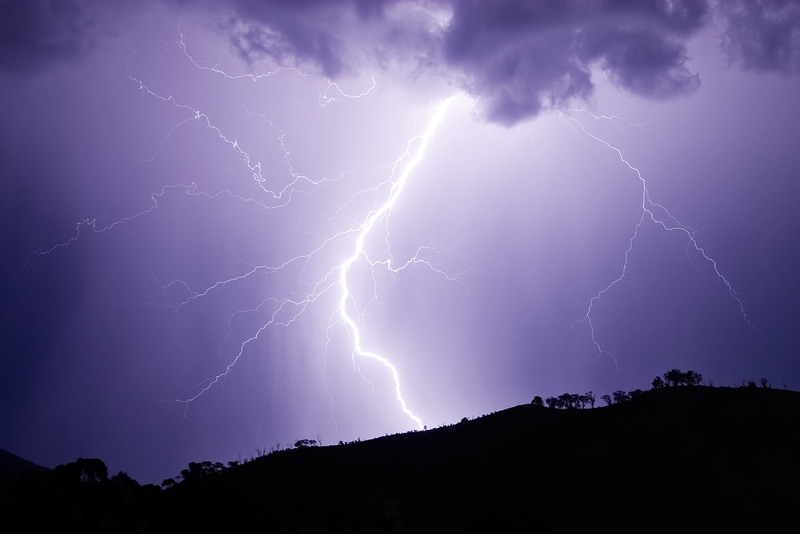 In September, strong storms rolled through our Arizona valley. We live on top of a hill and when the lightning struck, the water pump blew and in spite of surge protectors, all our electronic components fried. A decade of pictures, the manuscript of my first novel, and all my files were gone. Yesterday, three bolts hit our hill. Yes, history repeated itself in a matter of a month and destroyed all that we had replaced. Just a couple of weeks ago, we were roughing-it in Colorado, camping. When the frost dampened our tent, and we shivered inside our heavy sleeping bags, and the coyotes started howling right next to us, I felt vulnerable and exposed and wished next time to stay in a lodge because I missed the comforts of home. Last week, our landlords informed us they were selling the house, and we needed to vacate the premises as soon as possible. I study and teach history for a living. And what it has taught me about the present is how temporary life is. Our relationships alter, our jobs and goals change. Dreams pursued are either squelched, missed or acquired. We humans are in a constant state of transition. Whatever we build, crumbles. Whatever we think we own, evaporates. Stuff is just stuff. Ready or not, time marches on. Survival stories like The Revenant remind me how easy I have it today than in 1822; to complain about my “bad luck” seems ludicrous. Books and films of history remind me how noble our ancestors were. How they survived despite the odds or how tragic their deaths. I don’t have maggots crawling out of my back after being pulverized by a Grizzly. This sounds disparate, but it helps cool the sting when I am standing in line to buy another computer and television. Yeah, just think about how bad it was in the old days when all people had were black and white televisions. All kidding aside, the story of Hugh Glass is amazing, but he had no choice if he wanted to live. Ha! Yes, I needn’t go back to 1822. I only have to go pre-1990! We all did function just fine before cell phones and PCs, didn’t we? Those that ventured into the Rocky Mountain wilderness at the time of the mountain men were courageous adventurers. The story of Hugh Glass reminds me of that of John Colter. Yes, so many stories and most people have only heard of Davy Crockett or Lewis and Clark. I like reading about their adventures. You know this storyline has been used before on film, yes? Check out 1971’s <a href=’http://www.imdb.com/title/tt0067388/>Man in the Wilderness starring Richard Harris. I recommend it. I’m sure since it’s based on a true story, Michael Punke novelized the same Hugh Glass tale that earlier film used. 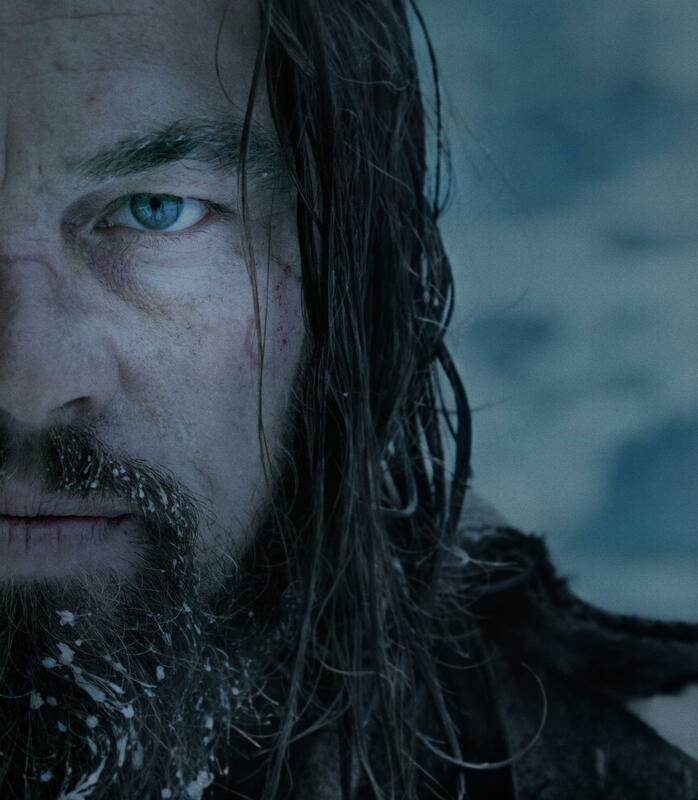 Still, I am curious about ‘The Revenant’ and do plan on seeing. Great idea for your series, Cindy. I’ve no doubt you two will be just fine, as well. Best. Hi Michael, hey! I forgot all about Richard Harris. Oh, we’ll be fine. Just a spell of inconveniences. Usually something good comes out of it all. It’s a John Huston film. I can’t say I’m into Westerns that much; I saw “Big Sky” for the first time the other day starring Kirk Douglas. It has similar setting — going up the Missouri, the lifestyle the associations with Native Americans (Poor-Devil was an abysmal stereotype). I can always count on you for adding to the discussion, my friend. I’m referring to being a guest. I was going to ask you to be a guest in February–we could do something with love…. LOVE in February would be fun, don’t you think? And right up your alley. Oh sure thing!! Let’s brainstorm on the movie. Soul doesn’t learn much on ‘Easy Street’. This ‘school of hard knocks’ moves us up the spiritual ladder. Hell and high water is the way home. I see you front row and center for this one, JC. Looking forward to your thoughts about it. I’m thinking this will be a good Western. Sorry to hear about your misfortunes at the hand of Mother Nature, Cindy. I reckon you will cope easier than a city boy from London like me. The kind of people depicted in the book and film are where you come from in America, and part of that spirit is lurking in there, to call upon when you most need it. I saw a clip of this film on Niall’s blog. It does look very good. Pete, you are kind. It’ll all work out. I saw Niall’s post, too. I like the promise of no CGI and his new ARRI Alexa 65 6K camera. Innovation. I like to see that with a director. Looks good, Cindy. Thanks for the link. Hi GP! Cool! You, too, my friend. Which would be more intriguing: What people in 1822 thought about life in 1629? or what people in the year 2208 will think about life in this year? …and where’s Jack Handy when you need a clever & humorous ending to a comment like this?!? I LOVE this comment. You are wise, indeed. I thought about the year 2208 and speculated they would think we lived quite the archaic life! I would love to know what they considered hardships of life in 2015. The Star Trek IV Voyage Home scene when Bones enters a hospital room and they are about to cut someone up in surgery and he grumbles about how barbaric our medical procedures are–he waves his chirping wand and fixes the patient in a matter of seconds. I think that’s one way we’ll seem backwards as backwards as blood-letting. There are still millions of people in our present world who live with very basic facilities and possessions. I’ve travelled quite a lot in Asia. I remember being ushered into my lodging for the night in an Indian village. It had mud walls and a grass thatch roof and one very basic raised cot with cotton strips to hold my sleeping bag. The floor was swept clay. Sitting on the cot that evening I had time to reflect on all the stuff we Westerners feel we need. People living in the same kind of accommodation around me were happy, they actually had time to talk to each other in the evenings after a hard days work instead of doing homework or watching TV. It made me wonder who were the disadvantaged in life, those with the very basic things of life, or we Westerners who have it all and are so stressed we find life a burden. Ian, what you say is absolutely true. I tried hard when I posted this “story” not to sound like a spoiled Westerner, but I don’t think I succeeded. The very nature of my life is living proof that I am. My first world problems are just that. That’s what I like about camping and traveling and teaching for it encourages me to be aware and open-minded. I wholeheartedly believe the simple life is the noble way to go. The types of classes I teach remind me daily how unfortunate are the lives of many around the globe, or that those communities who adhere to a simple existence enjoy advantages most of us do not get to experience. With that said, stuff is stuff, but I like my stuff, too, like my computer, or I wouldn’t get the chance to blog and have this discussion with people half way around the world. I’m grateful for that and so it stings when I’m not able to communicate. I like to watch movies and so it stings when I cannot. I like my hot water and comfortable bed and don’t like being away from either for too long. Can I? Yes, but I don’t want to. It’s good and descriptive. Hope you get a chance! Oh good! Let me know if you like it. My daughter and her boyfriend thought this looked great and both like Leonardo diCaprio. I was not sure since there have been movies and shows that seemed “similar” like “Grizzly Adams” and “Dancing with Wolves.” I have a strange feeling I will see this on a DVD rental rather than at the movies, Cindy. You gave the book 4.8 out of 5 which really is excellent rating for the film! Hope you get some reviewers/volunteers from this. Thank you, Robin. Yes, I have limited things having this as the discussion topic five days after its wide release. The book was very entertaining! You would like this book, I think. Very vivid imagery and it’s a quick read. I would love your female input on the evolution of the femme fatale on November 13. Especially how she has evolved in the last 15 years. Well when you put it like that… Next time I’m in line at the supermarket, I’m going to think about bears and maggots and remember how lucky I am. The more I see these trailers the more excited I get. Iñárritu hasn’t always impressed me but everything about those trailers draw me in. I am REALLY anxious to see this picture. Thanks, Keith! Sure would love your thoughts on it on January 13th! I will be back! It is high on my ‘must-see’ list!